A travel club and booking service offering a wide range of villas, boutique hotels and getaway experiences. Mr & Mrs Smith has over 1.5m members who have collectively made bookings valued at more than £60m in the last 12 months. The company generates income from commissions, which has resulted in revenues of £13m in 12 months up to 30 June 2018. They are now seeking to expand their travel collection and acquire US membership. The below content is from social media taken from external sites and is not representative of the views of businessagent.com or Mr & Mrs Smith. Travala is a one-stop travel booking platform which aims to reduce the costs of online travel services and make them globally accessible to everyone. Using the latest technology and aggregating data from partnered suppliers, including HotelsPro and Ratehawk, the company is ready to scale with a low-cost booking experience and reach in cryptocurrency space. Travala has seen an average growth of rate of 108% in hotel bookings (Nov 2018-Feb 2019) and a 30% return rate from its users who had booked previously. It is planning to list on comparison sites such as Kayak.com with the intention of hitting its target of achieving 174,000 bookings by the end of 2021. 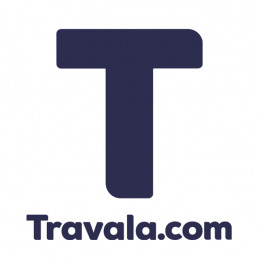 Additionally, Travala aims to increase booking numbers and revenue through sponsoring events and expanding its development and marketing team. Nightly.travel is a unique hotel booking website and the first to offer hotel switchingTM or split stay for a single trip, saving travellers upto 70% of their money in comparison to a single hotel stay. Nightly.travel has access to 75k hotels around the world and is planning to access 290k hotels in 2019. The company has been rated five stars on Trustpilot, has an average 2.5k new user registrations on its website per month, and is currently gaining influence in various social media platforms.